Bell Bridge Books, 9781611940848, 294pp. With their painful divorce looming on the horizon, radio psychologist Bess Cameron and her soon-to-be-ex-husband, John Mystic, meet at Maine's Seascape Inn to finalize the terms of a property settlement. Bess believes John is in love with someone else, and she's determined to move on without him. Their marriage appears doomed until the Inn's matchmaking ghost, Tony, and its irrepressible owner, Miss Hattie, take matters in hand. Sometimes you have to leap upon a mystic tide and have faith the sand will shift and an island will appear . . . 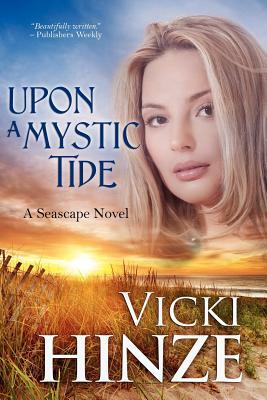 The second book of bestselling author Vicki Hinze's Seascape Trilogy brings readers back to the gentle magic of a place where love is always stronger than the fragile boundaries of life. Vicki Hinze is the award-winning author of 24 novels, 4 nonfiction books and hundreds of articles, published in as many as sixty-three countries. She is recognized by Who's Who in the World as an author and as an educator.Visit her at http: //www.VickiHinze.com.